Cauthorn Nohr & Owen handle education/employment law cases, personal injury cases, divorce and family law cases, and wills, trusts, and estates in Acworth, GA.
At Cauthorn Nohr & Owen, we're experts in Employment Law and Education Law in the Acworth, GA area. 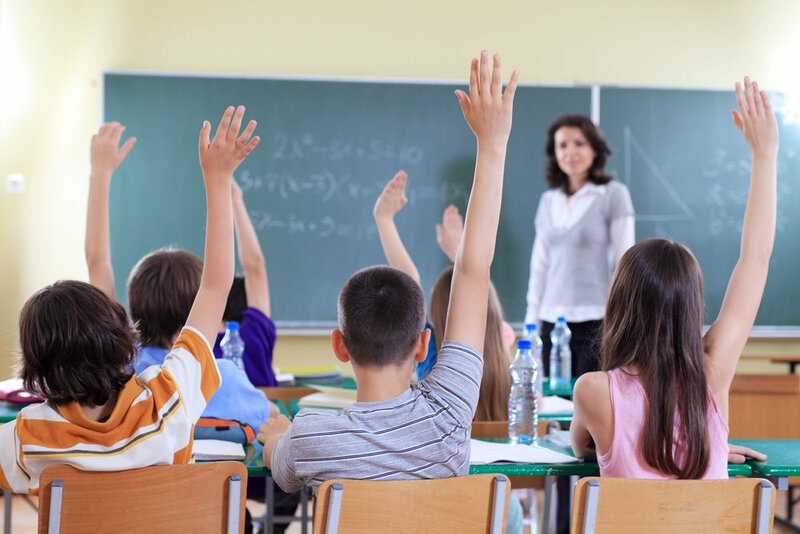 Education is an honored profession in Acworth, where teachers and administrators face numerous professional hazards that can require legal assistance or a discrimination attorney. Acworth area teachers are required to meet strict ethical standards, many of which are evaluated with subjective interpretation. When an educator is accused of running afoul of ethical standards, it can be a serious legal matter. Educators, as well as those in a variety of other areas of employment, can be subject to age, race or gender discrimination, unfairly denied unemployment benefits, or accused of criminal conduct for innocent actions. Education in Georgia is governed by numerous constitutional provisions, state laws, and local school-district policies, regulations and guidelines. Bettina S. Davies has brought to Cauthorn Nohr & Owen her many years of experience defending the rights of teachers and administrators for a wide range of issues, including ethical conduct; wrongful demotion, suspension, non-renewal or termination; criminal charges; and contract disputes. As top Acworth discrimination lawyer for more than 18 years, Davies has been part of a statewide network of attorneys who handle cases referred by the Professional Association of Georgia Educators (PAGE) and its more than 84,000 members. She advises and guides educators through negotiations and litigation until a fair and just settlement or verdict is reached. When there’s a need for a personal injury lawyer, Acworth turns to Cauthorn Nohr & Owen. We get fair results when death is caused by the negligence of others. Other cases involve a loss of ability to provide for families or enjoy the simple pleasures in life. Some are harmed by corporations that value profits over personal safety, or by an insurance company that refuse to honor its obligations. Our Acworth trial attorneys have a proven track record of success representing families victimized by the negligence of others. Unlike some “settlement mills,” we are committed to providing each client with the individualized attention by thoroughly preparing each case for trial. Most of our clients come to us by word-of-mouth recommendations based on our reputation in the community for integrity, dedicated representation and outstanding results in hundreds of important cases over the years. That is why we are Atlanta’s caring lawyers. Few areas of the law deal with more sensitive matters than divorce and family law. When it comes to areas like child custody, clients can be confused, stressed, and at loss for what to do next. When there’s a need for an Atlanta divorce lawyer, it's smart to turn to Cauthorn Nohr & Owen. Divorce attorneys must be both experienced and empathetic. As Atlanta’s caring lawyers, we have proven ability to support our clients as well as get results. Acworth attorneys Tom Cauthorn, Lisa Owen, Bettina Davies, and Marijane Cauthorn have extensive experience in divorce and family law. Tom Cauthorn, as both a judge and an attorney, has handled thousands of family-law disputes. Lisa Owen and Bettina Davies dealt with countless divorce and family law cases as staff attorneys in the Superior Court of Cobb County. Marijane Cauthorn has not only handled scores of family-dispute cases, she is an approved guardian ad litem for the Probate Court of Cobb County. In short, the firm has a deep bench in divorce and family law. Because divorce and family law disputes can be emotionally draining experiences, they require attorneys to handle a wide range of cases with respect and professionalism – from simple uncontested divorces to complex division of assets to hostile child custody battles. Cauthorn Nohr & Owen attorneys can assist in cases involving visitation, child support, property division, alimony, legal protections, civil law, legal relationships, adoption, settlement, and spousal support. At Cauthorn Nohr & Owen, we can make the process painless and productive when addressing the important legal questions of estate planning. That is why we are Atlanta’s Caring Lawyers. We help draft wills and establish trusts to protect the assets that will provide income for spouses and family members. We can even help protect the family business. Our customized estate planning includes living wills, durable powers of attorney for healthcare, and financial powers of attorney. We can assist in the minimization of taxes and help make provisions for guardians, trusts, and protection of family assets. Estate planning can be simple or complicated, but regardless, it must be thoroughly and carefully executed if it is to match the client’s wishes and expectations. At Cauthorn Nohr & Owen we have decades of experience making that happen. Atlanta's Caring Lawyers have experience to help you in Divorce & Family Law, Personal Injury Litigation, Education Law, Estate Planning - Wills, Trusts & Estates, Medical Malpractice, Civil Trial Litigation, Business Organization, Local Taxation & Municipal Law, Arbitration, Mediation, & Receivership.